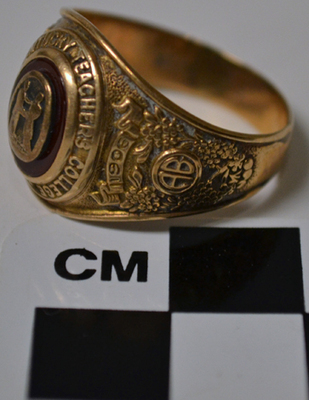 1948 Western Kentucky State Teacher's College class ring worn by Charles Parrish. 10k gold. 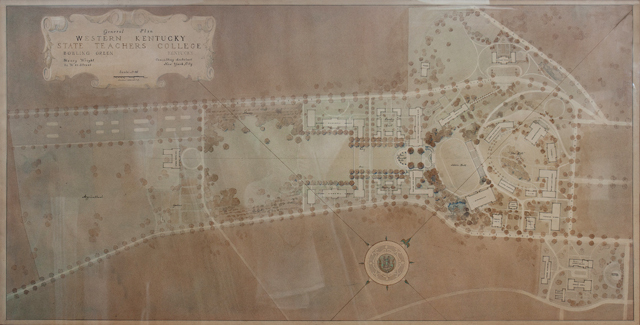 "Bowling Green" "Rings" "WKU" "1948"